An important part of childhood is the making of mess and the general attraction of dirt and ick from all possible locations. Their enjoyment of this is frequently inversely proportional to their willingness to clean it off – and likely to result in mild to moderate shoutiness from parents. Ieuan has a particularly unique washing technique which involves simply being in the same postcode district as a bar of soap. Occasionally he will deign to trickle the dank corner of a flannel across his face but, otherwise, washing is not something his favourite Horrid Henry or Dennis The Menace specialise in. So clean is for wimps. Caitlin, on the other hand likes to channel Elizabeth Taylor in the film “Cleopatra” with the full on spa treatment, goats milk and servants wafting those large feather fans. Tricky. We don’t have a goat. 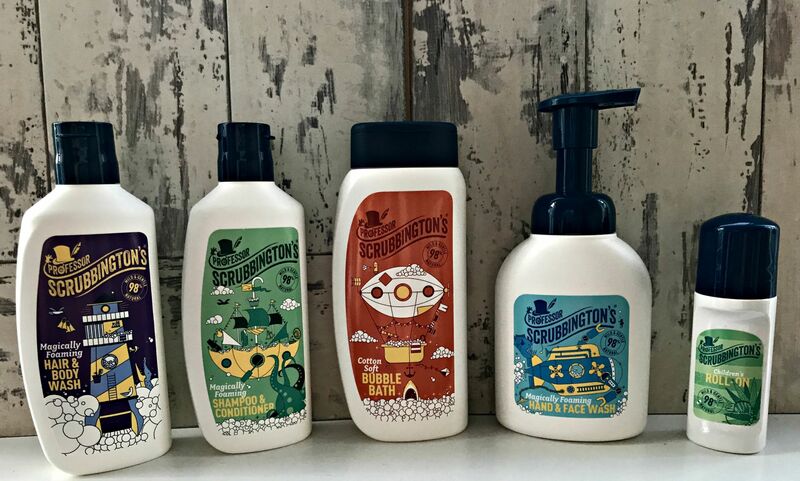 Enter Professor Scrubbington’s range of natural foaming toiletries which have been carefully designed to (FINGERS CROSSED) wash themselves. The company mission is to empower children to learn one of the most basic things we parents need to teach them – personal hygiene. 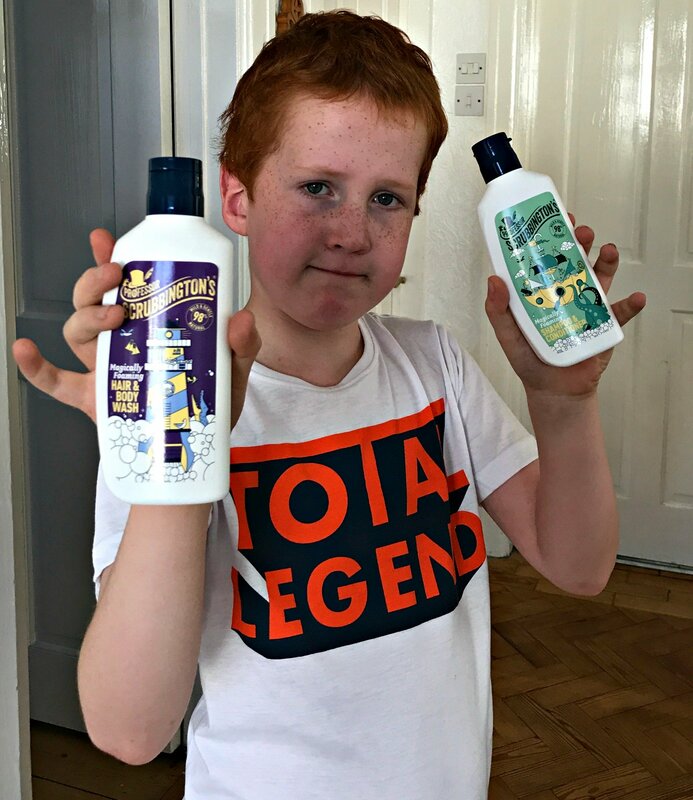 The products are 98% natural with no parabens, colourants or SLS and bottles are solid, easy to grip and manageable for young hands. 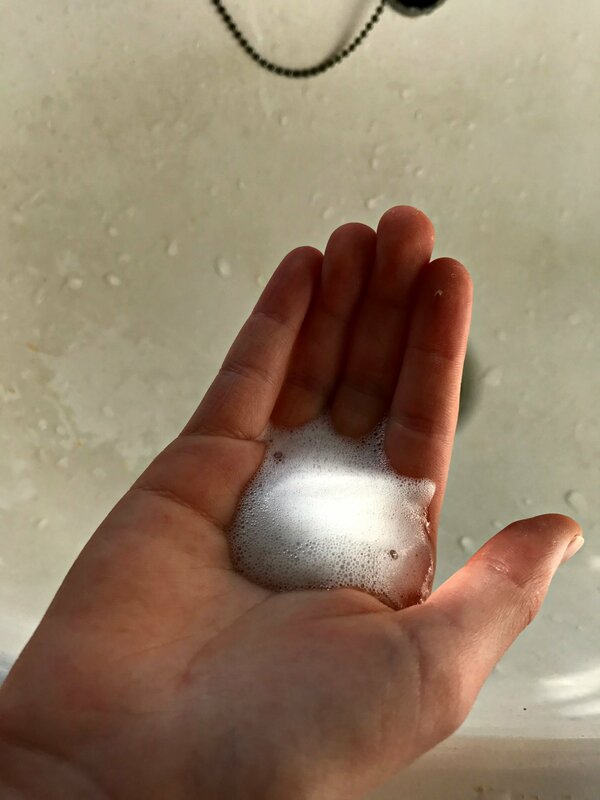 They magically foam which adds a fun element and are, uniquely odour neutralising with a lovely fresh fragrance – described as ‘gender neutral’ although in my day unisex seemed to suffice. They also contain Aloe Vera which is naturally gentle and moisturising for all skin types. 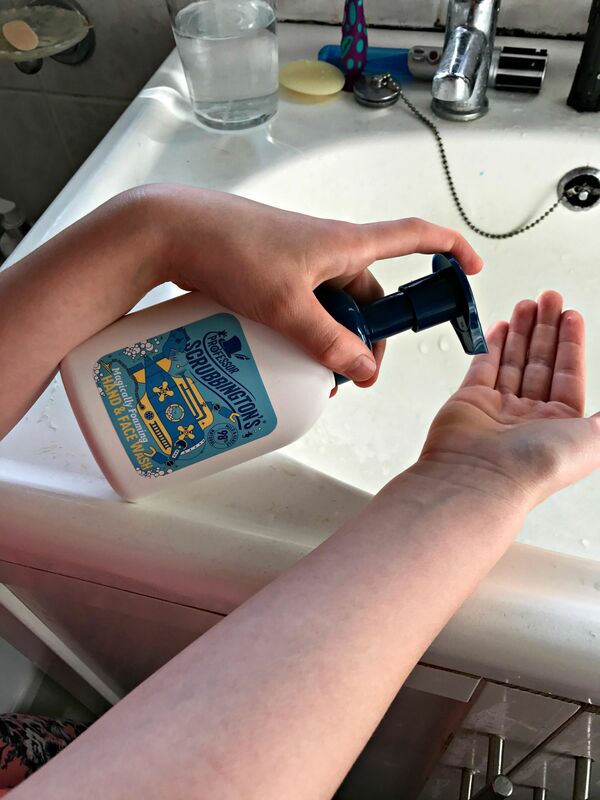 We were pretty impressed with all the products but our favourites were the easy to pump Hand & Face Wash – lets face it, if it’s fun to use they are more likely to wash their hands after using the loo – and the Bubble Bath which foams really well and delivers lovely fragrant bubbles without being too harsh or drying on the skin. 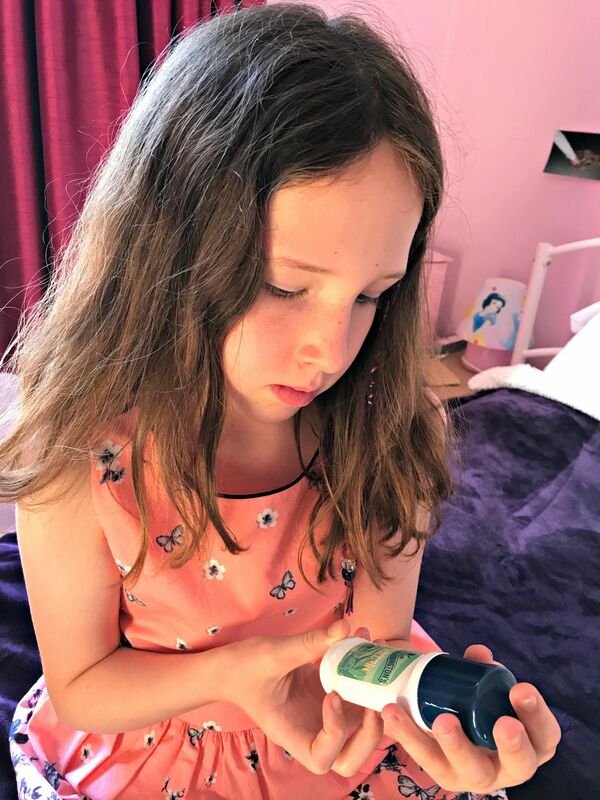 I was particularly happy to see the inclusion of a deodorant because, let’s be honest, as kids approach tweendom and puberty starts to kick in they DO sometimes need a deodorant. Caitlin has been using an organic one for quite a while, although we have tried some of the adult brands. I have not been particularly happy to do this, as there has been enough bad press about what the grown up deodorants do to us mums, let alone our daughters. The deodorant shares the same fragrance as the rest of the products, light, fresh and wearable for both boys and girls. I love the brand’s sense of fun and so popular are the products that you will now be able to find all of them in Boots at £3.99 each (with the exception of the deodorant) – great if you’re saving your Boots Advantage Card points for your Christmas shopping. And of course you can buy the products online at www.scrubbingtons.com where delivery is free on orders over £10. I like to set the kids new personal development goals at the start of the new academic year. These usually take the form of “you won’t get any pocket money this year unless you…” (make your bed / tidy your room / use your cutlery properly & etc). I reckon getting them to clean themselves is quite a good one, don’t you?